The Samsung Galaxy S III has been setting records worldwide for its innovation and now Samsung presents an innovative Galaxy S III accessory. What is it? Samsung presents a cool new cellphone case. The new Galaxy S III Flip Covers replaces your Galaxy S III battery cover to provide additional protection for your screen against smudges, scratches and dirt, give you privacy against nosy, over-the-shoulder readers and adds some bright color to a phone that comes in darker shades. 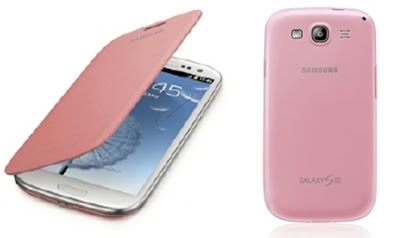 For those of you who love the color pink (like me) – a color which is not offered in the Galaxy S III, this is a great way to brighten up your Galaxy S III. How does it work? Simply remove your phone’s battery cover and clip on the hard plastic portion of the protective Galaxy S III Flip Cover in its place. The Flip Cover wraps around the side of the phone and the soft plastic felt adds an extra layer of protection over your screen when in place. The soft plastic felt easily folds back to allow unimpeded access to your Galaxy S III features. This cool new phone cover is available in multiple colors (not shown – yellow and orange). Want to spice up this cover even more? Even with the Flip Cover, it’s totally possible to add decals or bling to your cellphone, so have some fun with it. Each Galaxy S III Flip Cover retails for $39.99 and is available now. We’re in a time where everyone is feeling nostalgic and seeks out products that remind us of a simpler time when life was more carefree whether it be retro clothing, shoes and accessories, home decor, etc. One of my favorite retro items falls under the latter category – to me there’s nothing sexier than a retro telephone and VTech has a great Retro Phone in its LS6195 model. 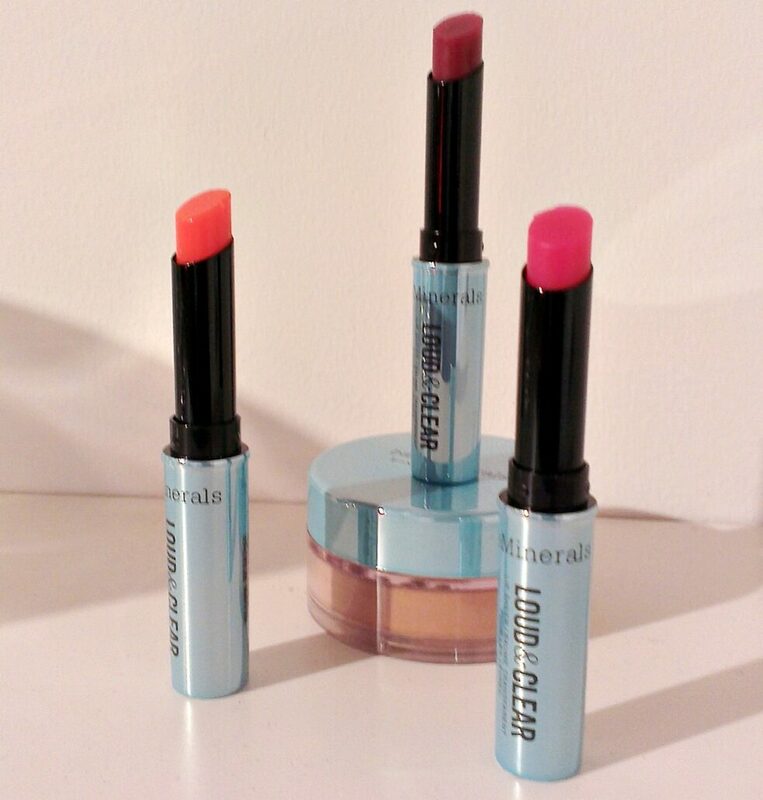 I especially love the bold tangerine hue featured below. 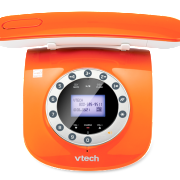 For those of who prefer a more subtle color, the VTech Retro Phone is also available in black, pearl white, light blue, and dark lux (burgundy). 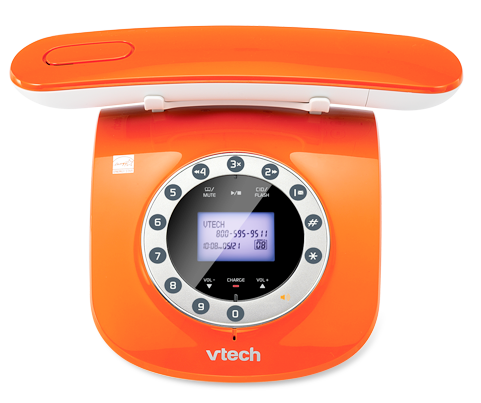 Inspired by the classic corded rotary telephone, the VTech LS6195 Retro Phone fuses retro with modern touches. 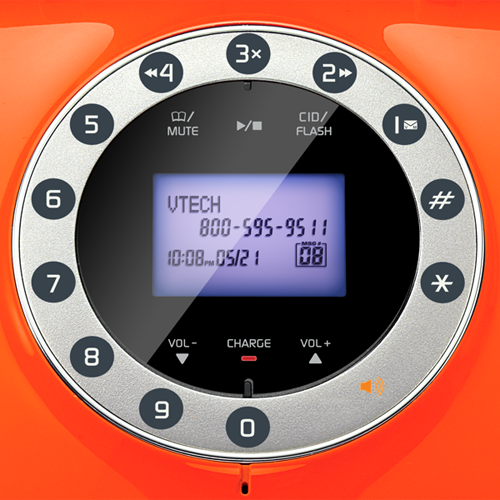 Some of its features include Caller ID/Call Waiting (stores 50 calls as well as 50 name and number phonebook directory), handset and base speakerphones and power-conserving technology for superior battery performance, digital answering system, a push-button, rotary-inspired keypad, and a cordless handset that rests face-down on the charger to maintain its classic rotary style. The silhouette not only adds a chic design accent to any room, the size of the VTech Retro Phone also makes it unbelievably space friendly. 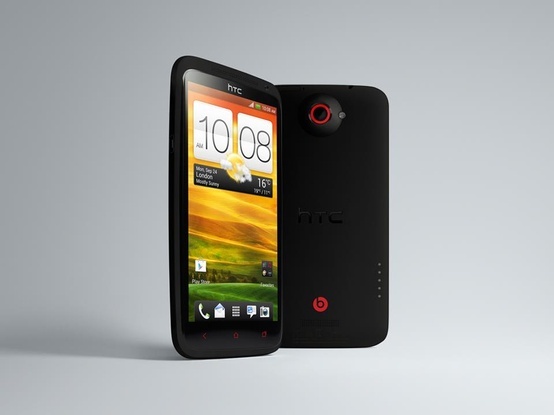 Want to get one of those cool phones for yourself? It’s your lucky day, the normally $69.95 phone is currently on sale for $54.95 plus with every purchase of this model, $2.00 is donated to the Make a Wish Foundation. I’m taking a slight break from covering Mercedes-Benz Fashion Week to let you know about a new interactive video game launching today – NBA Baller Beats. I had the pleasure of attending the preview for this unique video game in July and was wowed by how it allowed the player to develop real Basketball skills and get a real workout (check out my video of a player trying out the game later in this post). Want to see what this exciting game is all about, check out video of Curtis R. Smith (who helped develop the game with Majesco Ent) as he plays the hardest song (Missy Elliott’s Get Ur Freak On) on the hardest level (Baller). 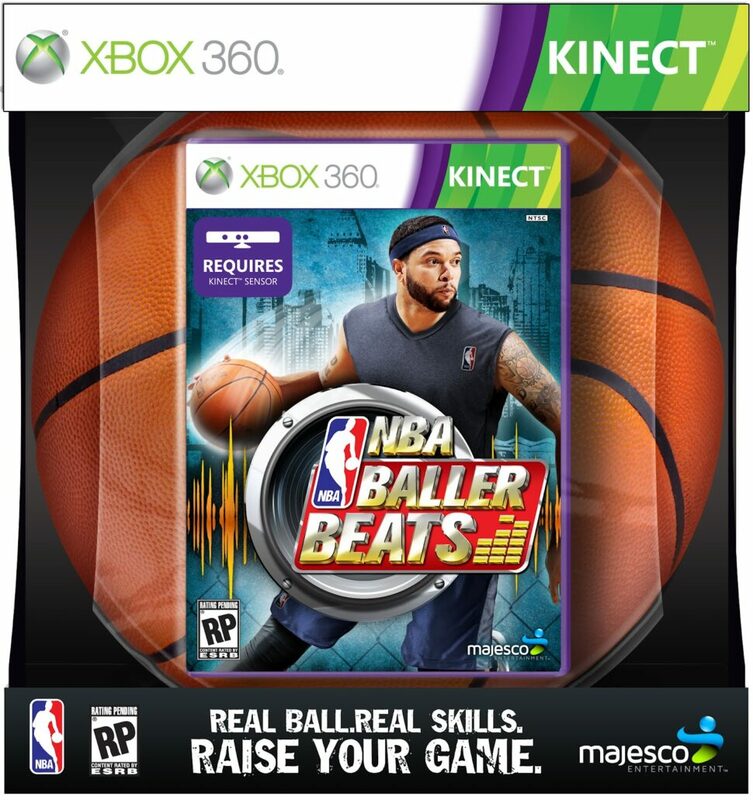 A fun, high energy and first-of-its kind basketball video game where Kinect for Xbox 360 tracks every move and every bounce of the ball. The first time a video game requires a real basketball in your hands for real physical gameplay. An officially-licensed NBA game ball replica from Spalding® comes packaged with the game. Time your dribble to the beat and perform a variety of skill moves displayed on-screen, to score points, earn achievements and unlock assets and additional gameplay. Train alongside your favorite NBA franchise as all 30 teams are represented through unlockable virtual assets and team-themed court environments. 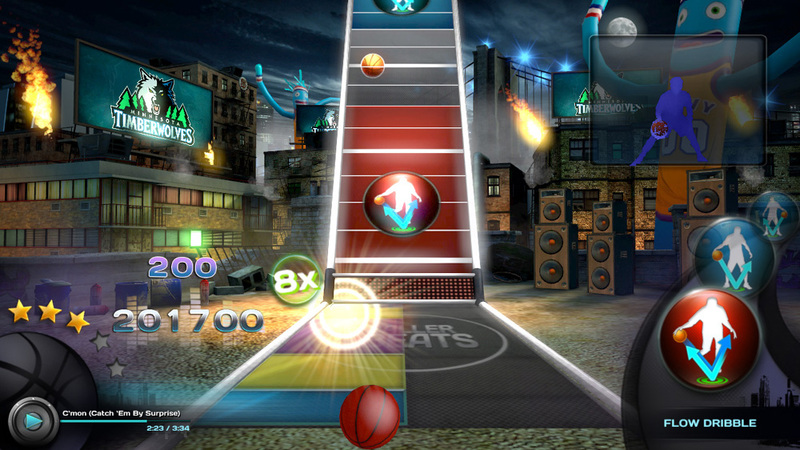 The music is your guide as you aspire to perform like a pro and master ball-handling skills. Features a slammin’ soundtrack including 30 licensed tracks spanning decades and genres including hip-hop, rock, and old school favorites. 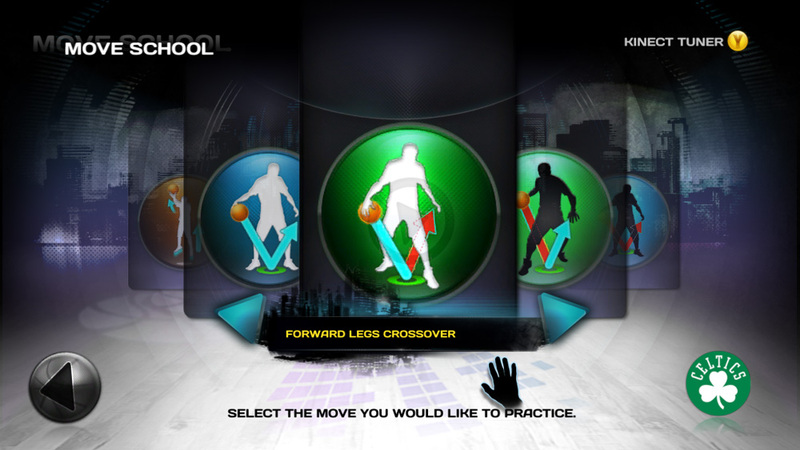 Score bonus points by performing 20 special baller moves displayed on the skill move flash cards including crossovers, between the legs, behind the back and more. Unlock songs and difficulty levels as well as over 100 NBA posters and Panini’s 2012 NBA HOOPS basketball trading cards showcasing NBA pros’ greatest moves from unforgettable games. To maximize your performance, visit the extensive in-game tutorial where two-time NBA champion and Emmy Award-winning TNT NBA analyst Kenny Smith dishes tips for success. Move School: Practice different skill moves to become a better all-around baller. Single Player: Play in one of four unique environments and unlock songs, difficulty levels, player posters and trading cards as you master the skills of NBA pros. 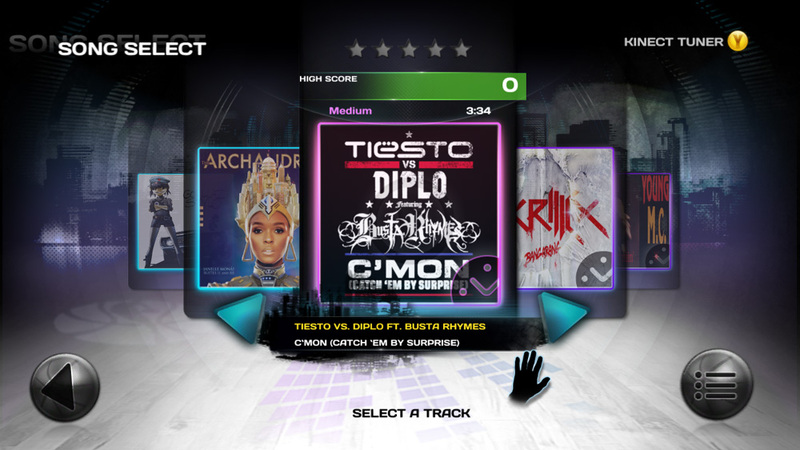 Battle Mode (Up to 8 Local Multiplayer): Go head-to-head against multiple players – the highest score wins bragging rights. 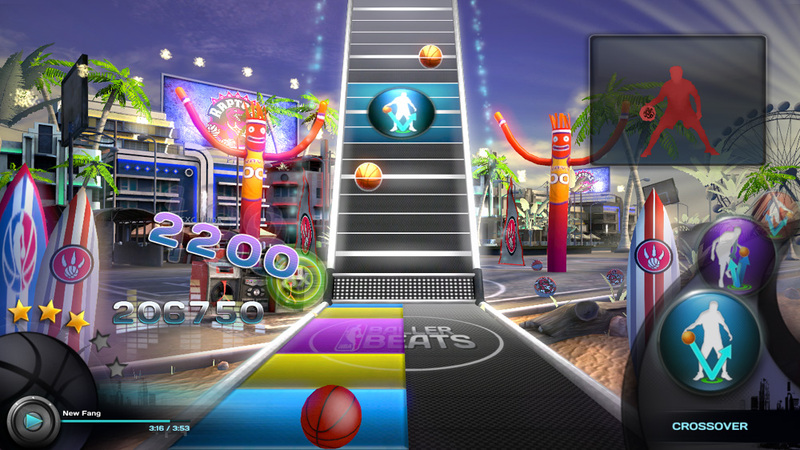 Show-off your baller skills as the Kinect sensor takes pictures that you can upload and share on Facebook. genres from hip-hop to rock to old school favorites. 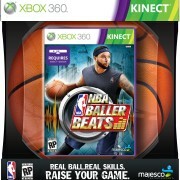 NBA Baller Beats hits shelves today. Get it while you can. When you think of Bob Marley, you think of great music, a man of individual style and mind, and a man who loved the earth and the people who inhabit it. The House of Marley brand offers a collection of earth-friendly, innovative audio and lifestyle products that adhere to equality, unity, authenticity, sustainability and charity and uses natural, earth-friendly and renewable materials in its products and packaging. Above are just two of the awesome on-ear styles available from the brand. 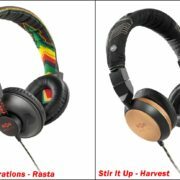 The Positive Vibration On-Ear Headphone (seen above in Rasta), comes with or without an Apple-compatible three-button remote with microphone and retails from $59.99 – $79.99. Positive Vibration is designed and built with recyclable aluminum, steel, and canvas that adds to durability and comfort features ultra-soft ear cushions to provide comfort and isolation from outside sounds while the 52″ braided fabric cord helps reduce tangles. It is specially engineered to cut down on static so you get that clear sound and features a 17Hz – 20kHz frequency response that adds clear sound reproduction and 50-mm dynamic moving coil speaker drivers deliver detailed sound with great bass. 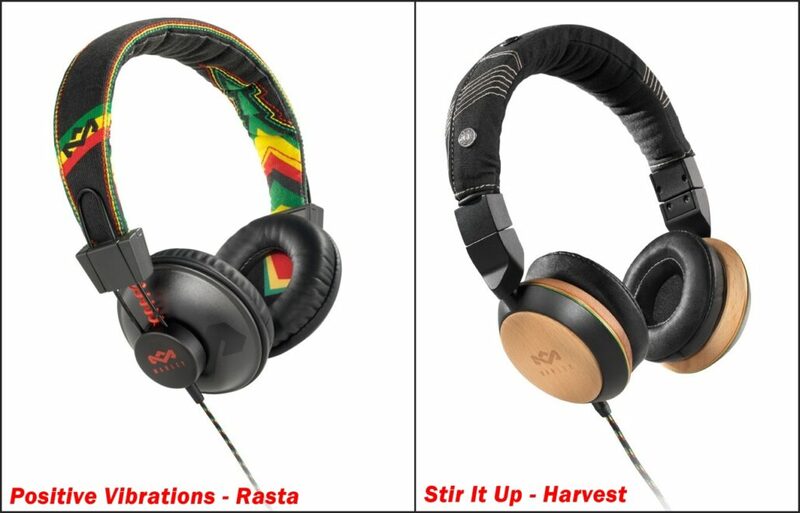 The Stir It Up On-Ear Headphone (shown above in Harvest) features most of what is listed above for the Positive Vibrations with a few differences. 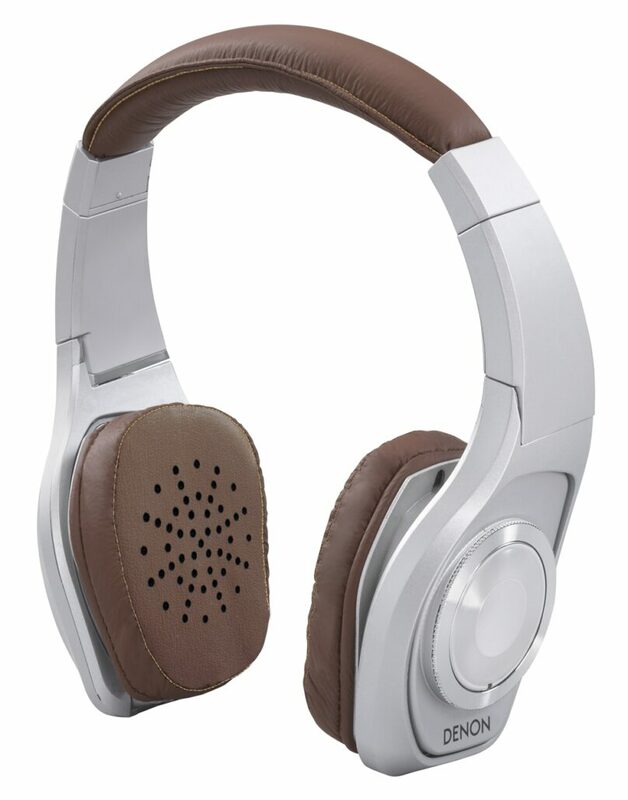 The Stir It Up features a 15Hz-22kHz frequency response, 40mm dynamic moving coil driver, ultra soft leather cushioned earcups, durable canvas headband, FSC certified Beech Wood accents, Apple-compatible three-button remote with microphone and a 3.5mm gold-plated connector. 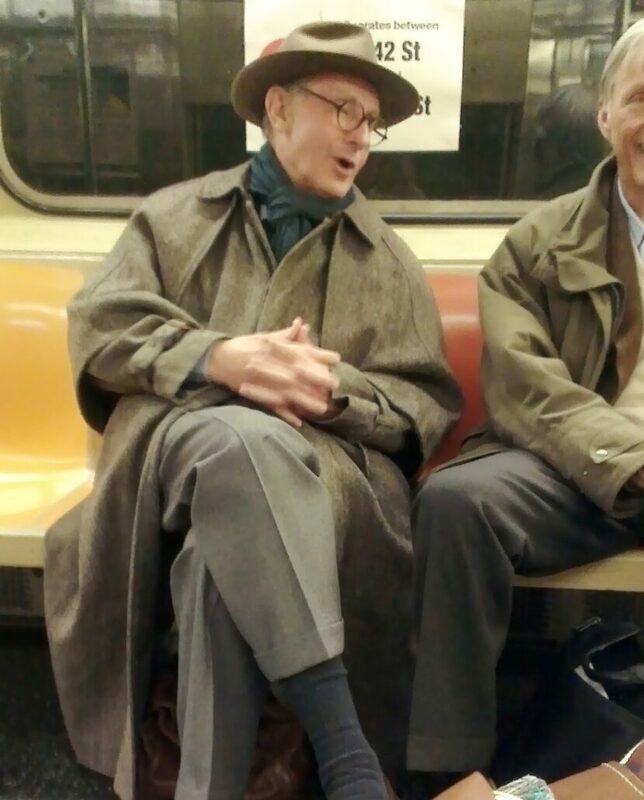 This style retails for $199.99. You know what they say – Diamonds are a girl’s best friend and this incredibly stunning diamond-designed on-ear headphone from Monster is in a class by itself. Created in collaboration with Korean Pop Mogul, J.Y. 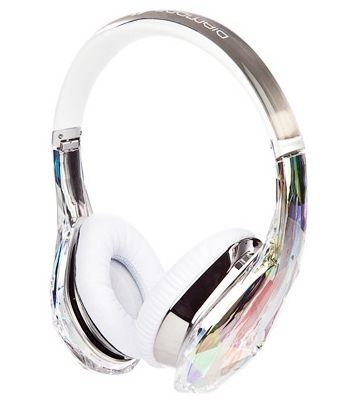 Park, this cutting edge headphones are “edgy like diamonds, smooth like tears”. The Monster Diamond Tears features ControlTalk Universal Cable and Apple ControlTalk Cable, for calls through your headphones, uses no amplification or noise cancellation circuitry that adds other frequencies and colors the sound, so you hear the music, pure, potent and uncompromised, just as the artist created it in the studio. No-hassle, tangle-free cables let you move freely and a low profile, the right-angle connector that allows a snag-free, secure fit and two folding hinges on the headband allows for easy storage. Like Diamonds, these are not cheap, the Monster Diamond Tears retails for $349.95. Thanksgiving is almost upon us and I’ve heard so many cooking stories, trading of recipes and lots of ideas for a healthier Thanksgiving. So many of us think if you use certain ingredients, then you’re eating healthier but it’s not just the ingredients you have to worry about, how your food is prepared is important too. 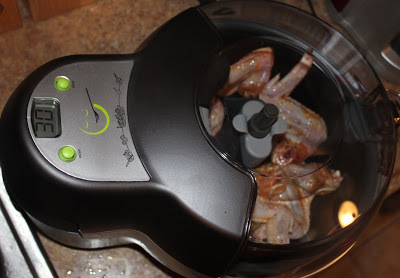 I was introduced to one heck of a machine from called the T-fal ActiFry. A wondrous machine that allows you to cook entrees, sides, desserts, and appetizers without worry. I cannot wait to try some of my Thanksgiving recipes and I don’t plan on being boring either. I might experiment with Spicy Thai Chicken Curry, Chicken and Pineapple or maybe chili (god I’m so excited to cook). 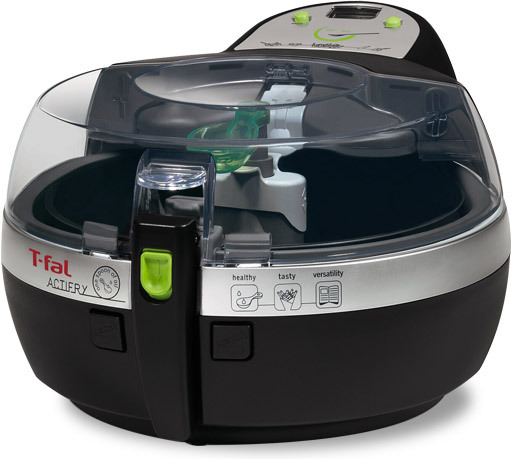 The T-fal ActiFry comes in Black and white and is available at T-fal.com, Amazon.com, Bed, Bath & Beyond, Kohl’s, JCPenney, etc. Happy Thanksgiving! As a Lifestyle Writer and my own photographer, I need tech products that make my life as easy as possible. Depending on the day, I can attend 3-4 events/previews in one day just about every day (I try to keep Fridays free). At all those events, there are lots of picture-taking; I know PR Firms offer images and I do use them as well, but I love taking my own photos. 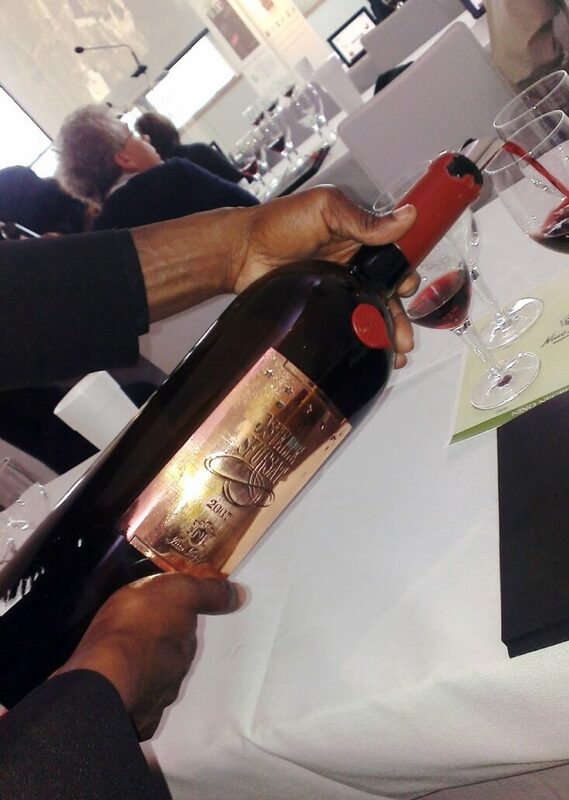 I find that a certain angle, detail or even product catches my eye that a ready-made PR given image can’t…. but with this comes a major issue – downloading those photos to my computer. As everyone knows, the more files to add to your computer, especially something like raw images, the slower it performs. I have purchased several USB drives to alleviate the massive downloads to my computer, but there’s still the issue of downloading them into files by event name, then editing and uploading to post. 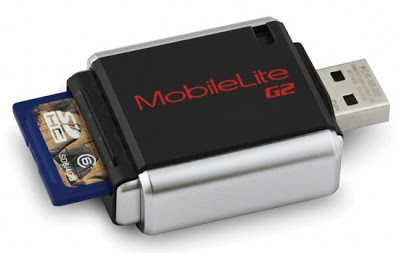 Luckily I was introduced to a wonderful little product called the MobileLite G2 Reader from Kingston Technology. This tiny portable unit lets you conveniently exchange data, photos, games and music stored on memory expansion cards between mobile phones, computers, laptops, cameras, PDAs and other devices. 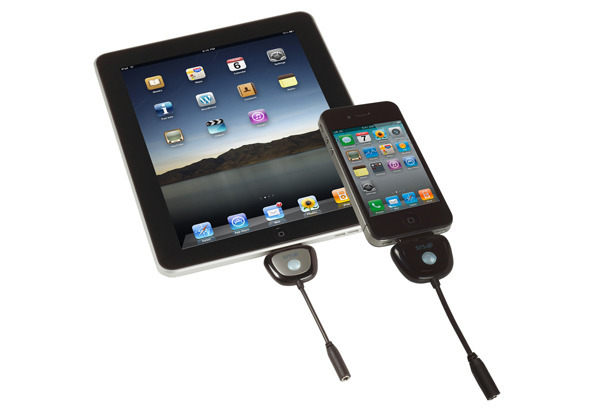 It’s ultra-portable, plug and play and requires no external power source. In other words, no more downloading for me; no more hours spent transferring images from my Canon T1 to my Computer. I can just pop out the card from my camera, insert it into the MobileLite Card Reader and work off there. 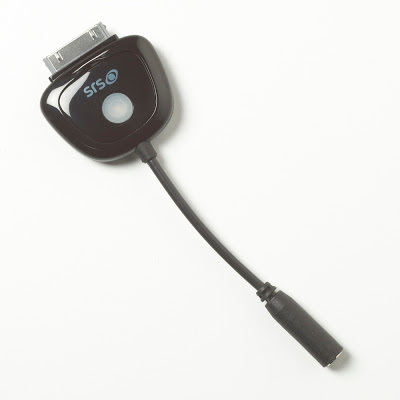 The G2 is the second generation of this particular card reader. It supports just about all formats – SD, SDHC, microSD, microSDHC, Memory Stick PRO Duo, Memory Stick PRO-HG Duo and Memory Stick Micro. It’s compatible with Windows 7, Windows Vista, Windows XP, Windows 2000, MAC OSX and Linux. Though its small stature is an impressive trait, size isn’t its most impressive aspect – it features retractable covers on both sides to protect the USB connector and your memory card from damage. MobileLiteG2 is available separately or with a 4GB, 8GB, 16GB & 32GB Class 4 SDHC card. Actually, if you act now, you can purchase this amazing device with an 16GB Class 4 SDHC Card for only $25.00 (normally $45.00) directly from Kingston Technology – click HERE to take advantage of this great limited offer using code SHOPPIMA.